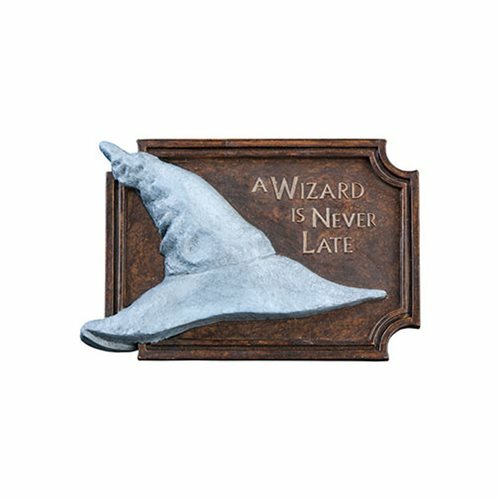 Add some Middle Earth style to your home with this The Lord of the Rings Gandalf's Hat Magnet! Designed by the artists at Weta who worked on the films, this magnet is made from plastic and comes with a rare earth magnet on the back. This The Lord of the Rings Gandalf's Hat Magnet measures about 2 1/2-inches tall x 1 3/4-inches long.